- This competition seeks to provide exceptional young artists with the experience necessary to promote international careers. We know from previous years that the competition has been a significant milestone in their development – and that it has contributed to important opportunities. An eminent jury consisting of active and highly respected personalities is a crucial factor in achieving this goal. I would like to offer my sincere thanks to the jury, chaired by Sophie de Lint. Their important contribution to the competition is highly appreciated. And to you, all wonderful singers: Thank you for sharing your talent with us. I am full of admiration for what you already have achieved. I am certain that you all will have successful journeys ahead of you! Good luck! 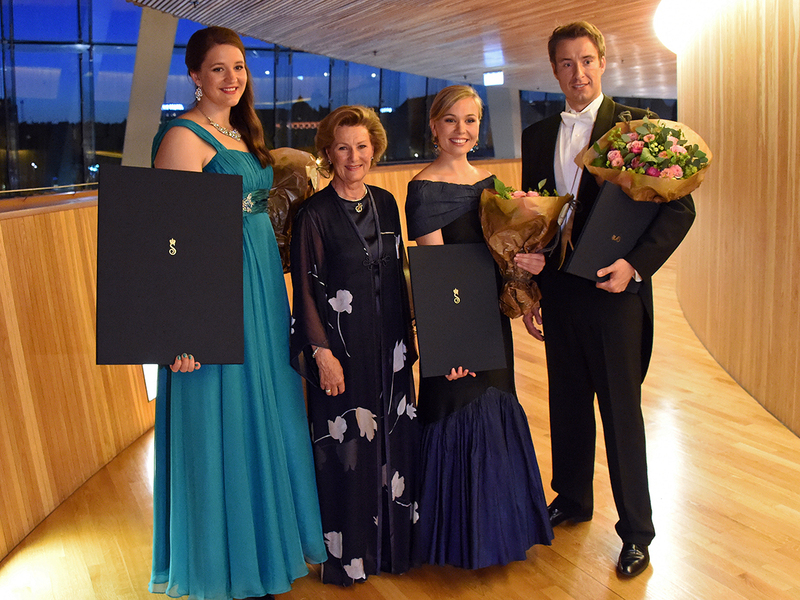 But before you embark on your next adventure, it is my great privilege to announce the winners of the Queen Sonja International Music Competition 2015. 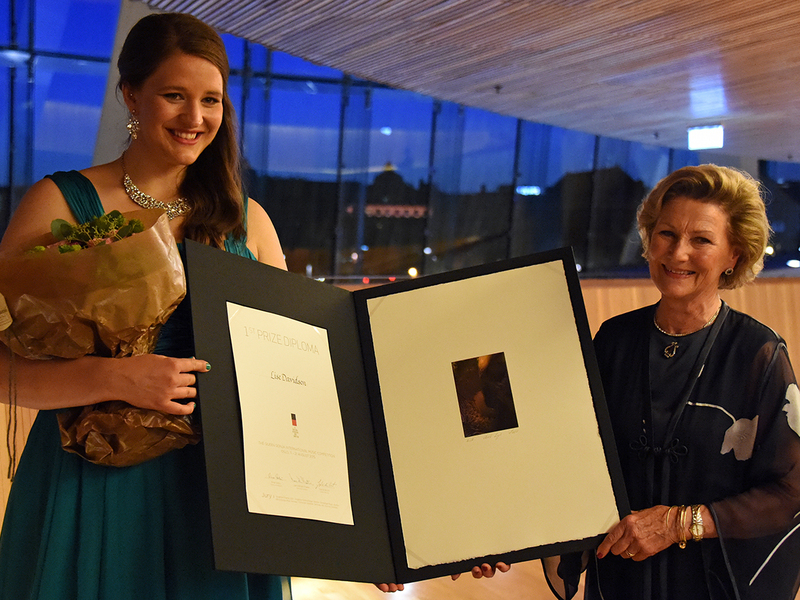 Finally, the first prize in The Queen Sonja Music Competition 2015 goes to Lise Davidsen. Tonight's contestants performed on a very high level. The winners receive prize money as well as offers of engagements with leading Norwegian musical institutions. Furthermore, international agents, casting directors, orchestral programme managers and other music industry representatives were present in the Opera House tonight.